Like magicians using sleight of hand, the Lords of Baseball played a round of "now-you-see-them-now-you-don't" with the Washington Senators in 1960, and then added a "now-you-see-them-again" to finish the trick. Washington, DC, owned one of the American League's six original franchises. But after years of losing seasons the fan base became disinterested and distracted. Owner Calvin Griffith saw greener pastures to the west and moved his franchise to Minnesota in 1960. Knowing lawmakers on Capitol Hill were not pleased without the national pastime (the same lawmakers who decided whether baseball was exempt from antitrust laws); the Lords of the game awarded an expansion franchise to Washington right after Griffith departed. The second generation of Washington Senators picked up where their predecessors left off, losing their first-ever game to the White Sox 4-3 on April 10, 1961 at Griffith Stadium. As the decade progressed, fans and lawmakers alike must have wondered why they wanted the Senators back. In their first four years this edition of the Senators lost 100, 101, 106, and 105 games. In the next few seasons they climbed to the middle of the pack, and when they hired Ted Williams to manage the team in 1969 they hit their high water mark with an 86-76 record and fourth place. They returned to their losing ways in 1970-71. The only excitement for the franchise was the slugging of big Frank Howard, who had one of his best years for the 1969 team with 48 home runs, 111 runs batted in and a .296 average. Howard hit more than 40 homers in 1968 and 1970 as well. While Howard was slugging and Williams was managing, new owner Bob Short (he bought the club in 1968) was being wooed by the city fathers of Dallas-Ft. Worth in Texas. Baseball had seriously looked at this area for its 1969 expansion, but decided to go elsewhere. Seeing his opportunity, Short closed a deal to move the Senators to Dallas for the 1972 season. With Washington lawmakers now indifferent to the move (due to the embroiling controversies of the era like the Vietnam War), baseball gave its approval. The Senators concluded an era of baseball futility with a forfeit loss to the New York Yankees on September 30, 1971. The Senators were leading the game 7-5 with two outs in the ninth when swarms of fans rushed onto the field, eventually forcing the forfeit. The newly named Texas Rangers opened for business on April 15, 1972 with a 1-0 loss to the Angels on the west coast. They won their first game the next day, 5-1. Williams retired after the 1972 season (the team lost 100 games again, which might have hastened his departure). After Whitey Herzog took the helm for the first 138 games of 1973, in which the team won only 35 percent of the time, Herzog was replaced by Billy Martin. Martin's in-your-face personality and fiery demeanor ignited the team. It had one of its best seasons in 1974, going 84-76 and finishing five games behind West Division champion Oakland. Jeff Burroughs won the Most Valuable Player Award with a .301 average, 25 home runs and 118 runs batted in, and Mike Hargrove was Rookie of the Year. Veteran Fergie Jenkins, acquired in a blockbuster trade with the Cubs for third baseman Bill Madlock, won 25 games. As was the case with many of Martin's managerial posts, he wore out his welcome quickly and was gone the next season as the Rangers underperformed to a 79-83 record. The Rangers had respectable second and third place seasons the rest of the decade. The Rangers plodded through the 1980's with mostly inconsequential seasons, their best showing being a second place finish with manager Bobby Valentine in 1986. They did enjoy some great individual feats, including Larry Parrish hitting three grand slams in one week (July 1982), Oddibe McDowell's cycle (July 1985) and Nolan Ryan's 5,000th career strikeout in 1989 (against Rickey Henderson). He would toss his sixth no-hitter the next year and his seventh in 1991. Also of note, a group of businessmen headed by George W. Bush bought the franchise in March, 1989. Businessman Thomas Hicks would purchase the club in 1992. Pitching has always been the Achilles Heel for Texas, but by the mid-1990's they had assembled an offensive lineup devastating enough to overcome it. With a lineup that featured Juan Gonzalez (47 HR, 144 RBI, .314 and AL MVP), Rusty Greer (18 HR, 100 RBI, .332), Ivan Rodriguez (19 HR, 86 RBI, .300) and Dean Palmer (38 HR, 107 RBI, .280), the Rangers blasted their way to their first Western Division title in 1996 with manager Johnny Oates. After a disappointing 2000 season, the Rangers made headlines by signing free agent shortstop Alex Rodriguez to a 10-year, $252 million contract. Rodriguez spent only three seasons with Texas, but took advantage of the hitter-friendly Ballpark at Arlington to post 156 home runs (leading the league twice), 395 RBIs, 382 runs scored (leading the American League twice) and a .305 average. However, without the offensive depth of the previous decade, the Rangers finished fourth all three years. Rodriguez was traded to the Yankees for Alfonso Soriano just as Texas was unveiling an explosive battalion of new, young talent for 2004, including Mark Teixeira, Hank Blalock, Michael Young and Kevin Mench. The Rangers finished a surprising second with manager Buck Showalter in 2004, but pitching waylaid them again in 2005 and they dropped under .500. Offense continued to be Texas calling card throughout the decade, but without a quality pitching staff they rarely contended. That began to change when Jon Daniels took over as general manager in 2005. Daniels, at 28 the youngest GM in MLB history, made trades to acquire pitching talent throughout all levels of the organization. His biggest trade that would bring a bevy of young pitching and offensive talent occurred at the trading deadline in 2007 when he shipped Teixeira and pitcher Ron Mahay to Atlanta for four of their top prospects, among them catcher Jarrod Saltalamacchia, shortstop Elvis Andrus and pitcher Neftali Feliz. 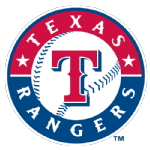 Several other moves tweaked the roster the next several years, with centerfielder Josh Hamilton and hard-hitting second baseman Ian Kinsler joining Young to keep the offense humming. By 2009 the team was ready to contend, posting its first winning season since 2004 and finishing second behind Anaheim. Expectations were high for 2010 and the team didnt disappoint, shaking off a slow April to blow apart the division in June and coasting to its fourth division title. Hamilton led the offense with a .359 average, 32 homers and 100 RBIs despite missing 29 games due to injury. A key to the season was a July trade that brought veteran lefthander and former Cy Young Award winner Cliff Lee over from Seattle. This stabilized the pitching staff and provided a true ace. Lee led the Rangers through the playoffs, defeating Tampa Bay and the Yankees to win their first pennant. They ran into a pitching buzz saw in the World Series, however, losing in five games to San Francisco. On April 2, 1998 , the Texas Rangers set a team record for hits during a game with twenty-three versus the Chicago White Sox . The Texas Rangers set a team record for runs scored during an inning on April 19, 1996 , with sixteen in the eighth inning versus the Baltimore Orioles . Did you know that that Texas Rangers set a team record for attendance on an Opening Day game on April 5, 1999 , when 46,650 fans witnessed the game? Four years later they beat that record (50,370) then in 2006 they beat it again when 51,541 fans (104.9% full) saw the Red Sox defeat the Rangers 7-3.